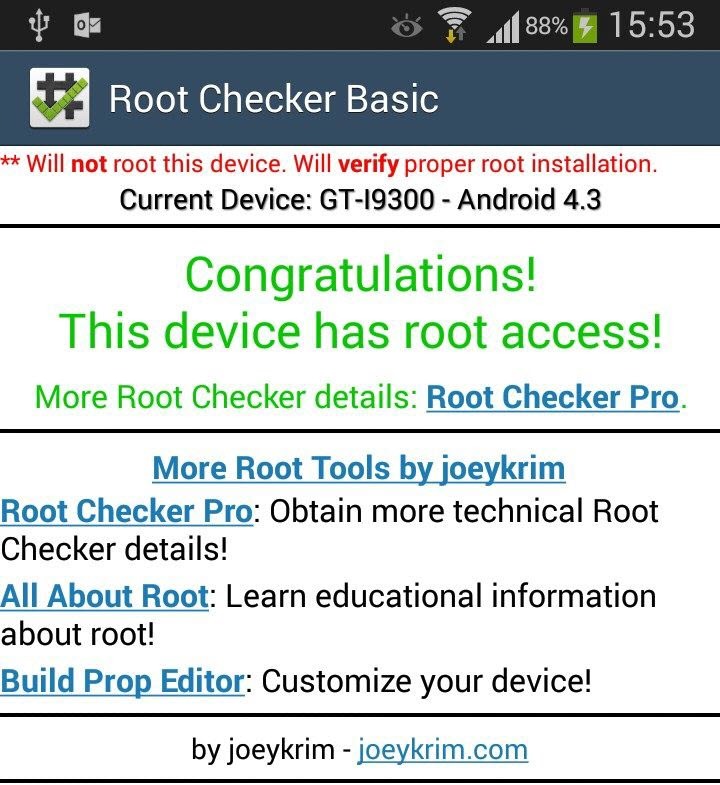 You are at:Home»Android»How to Give Root Access to Your Smartphone. Not to be confused with the Australian definition of rooting, it is the means of gaining privileged control to the Android sub system, with the aim of overcoming limitations placed on devices by carriers and hardware manufacturers. In other words, to take full control of an Android device in ways that were not perhaps fully intended by the carrier or hardware firm and to overcome hammer like restrictions that benefit the carriers/manufacturers more than they do the user. Rooting is similar to iOS Jailbreaking, but is essentially a more straightforward process and is not frowned upon in the same way as Jailbreaking is by Apple. It’s generally accepted that rooting your phone is not illegal, maybe. According to the Digital Millennium Copyright Act (1998) and later changes by the Librarian of Congress, it appears to be illegal to root a tablet but not a mobile phone. So, while you’re all choking on your cornflakes and wondering why unlocking a mobile phone became illegal in 2012 in the USA but repealed by President Obama in August 2014, I think it’s fair to say that rooting your phone won’t result in a tap on the shoulder from the FBI or your local thought police. I remember when I acquired an iPhone in 2011, being my first foray into the world of smartphones. OK, it was second hand, a bit tatty, but of course locked down and the first thing I did was to have it Jailbroken, so that I could use it anywhere I wished, and install what I wanted and not what Apple said I could. It more or less transformed the phone, but never to the extent that I actually liked it, possibly because I also found being that stuck with iTunes, a tedious affair, akin to being handcuffed to a South American dictator. It did however, open my eyes to the advantages of system liberation, for want of a more suitable description. 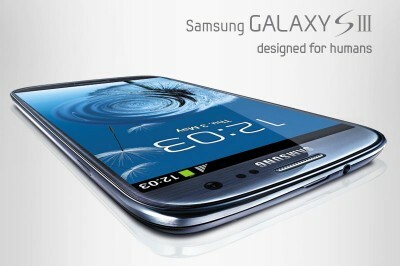 Fast forward to 2013 and the planets lined up accordingly, allowing me to sell the unloved iPhone and acquire a brand spanking new Samsung Galaxy S3 which, not exactly a life changer, seemed light years ahead in terms of friendliness and flexibility. At the time, I had looked into rooting the phone, but since it did more or less what I wished, decided to live with it for the warranty period and explore the world of rooting later on. The HTC Dream is said to have been the first mobile phone to be rooted in 2008 and since then, Android enthusiasts have helped drive the modding community to greater heights of achievement in development of open source projects. Rooting your mobile has become so popular, not to mention simple to do, that there are several methods available for the beginner. I went for CF Auto Root as it was described as a beginners’ method, which suited me fine. First head over to CF-Auto-Root and download the correct flashing software and files for your phone. You should see a long list of models to choose from and in this case, my Galaxy S3 is the international model version GTi9300 as shown in the picture below. Download the file and extract to a new folder which is easy to find, such as on your desktop and you’ll find the contents as shown in the picture below. If you’ve been using Samsung Kies to sync your phone, you won’t need to download the USB drivers, otherwise get them from Android XDA as the Samsung support site is as useful as a chocolate teapot. The phone itself will need to put into developer mode, so go to settings>more>about device and tap several times on Build number. This will enable developer mode and USB debugging as per the picture below. If you’re in any doubt, it’s always a good idea to back up your phone before rooting, although it’s important to point out that, when the device reboots, all will be as before, but with elevated user rights. None of the apps or other data will be affected. Odin is the flashing tool, with the .md5 file being the root flash itself and once fired up, you’ll see a screen similar to the one below. By clicking on PDA, navigate to the folder with the extracted files, choose the .md5 and clickSTART. The process should take no more than a few seconds and your phone will reboot, install the root and finally boot into your normal home screen almost as if nothing had taken place. It’s very quick. 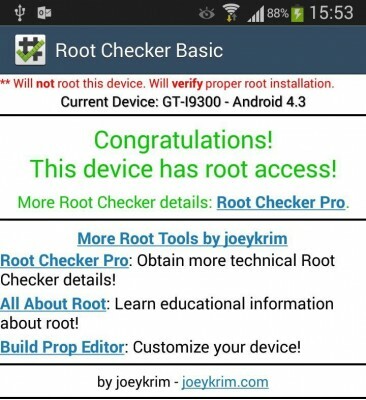 Finally, you’ll want to get Root Checker from Google Play, to verify the root and you’ll also notice that Super SU has also been installed as a root management app. In the next part of this topic we’ll look at some of the top apps you can install now that your phone is rooted. This is a guide only and neither DCT or the author accept responsibility for any damage which may occur with your device.